The Safety Centre are please to let you know about our export delivery service of fire safety and alarm system equipment to Dubai. We have a dedicated export department and regularly send shipments of fire alarm system equipment to Dubai. Fore more information on this service email us on sales@thesafetycentre.co.uk or use our Livechat facility below. At The Safety Centre we have a wide variety of fire alarm system panels available including conventional, analogue addressable and wireless types. We supply panels from some of the worlds leading fire alarm system manufacturers such as Morley IAS, Gent by Honeywell, Notifier, C-Tec, Advanced Electronics, Kentec and many more. These panels are available for shipping to Dubai. If you’re interested in these panels please complete our international shipment enquiry and we will provide a quotation including shipping. In addition to our wide range of panels, we also have hundreds a different detector types available. These detectors are again from some of the worlds leading fire safety system manufacturers and are available in non-addressable, analogue addressable and wireless versions. 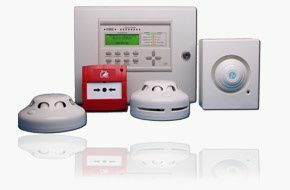 If you’re interested in these service you may also be interested in our The Fire Beam Company and Temporary Fire Alarm Systems ranges.